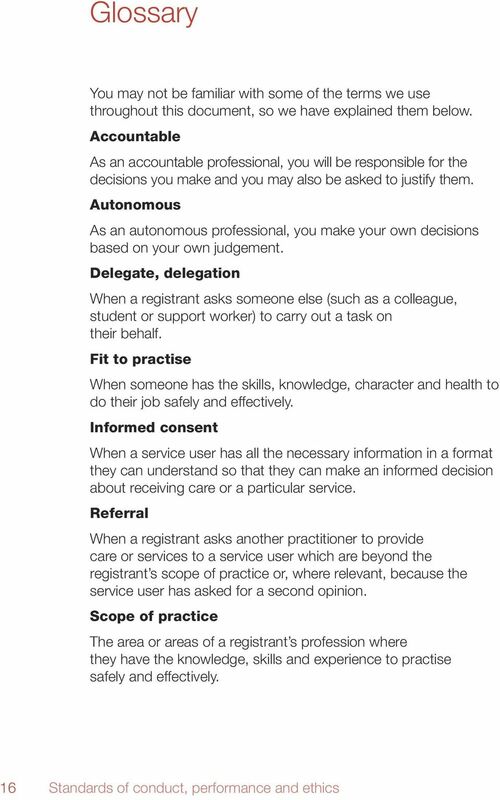 Download "Your duties as a registrant. 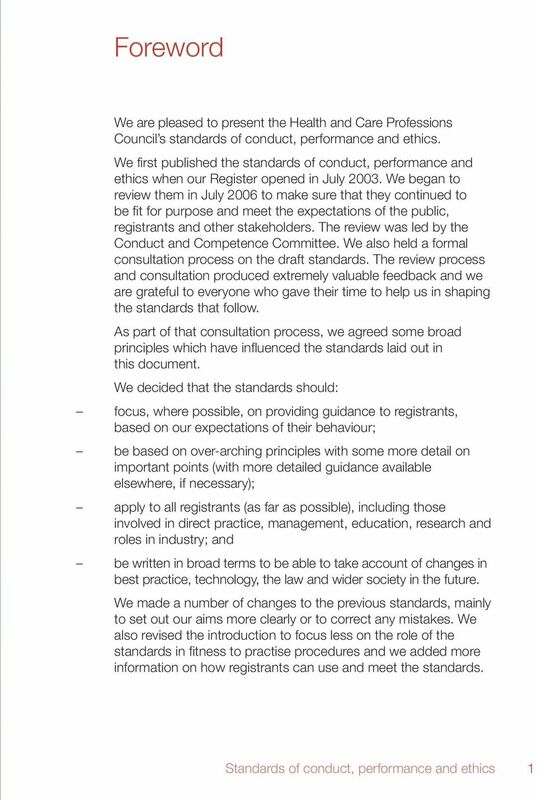 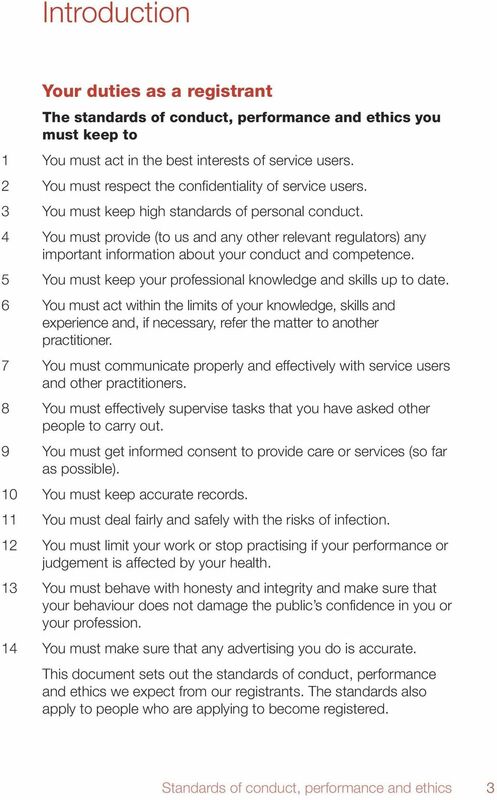 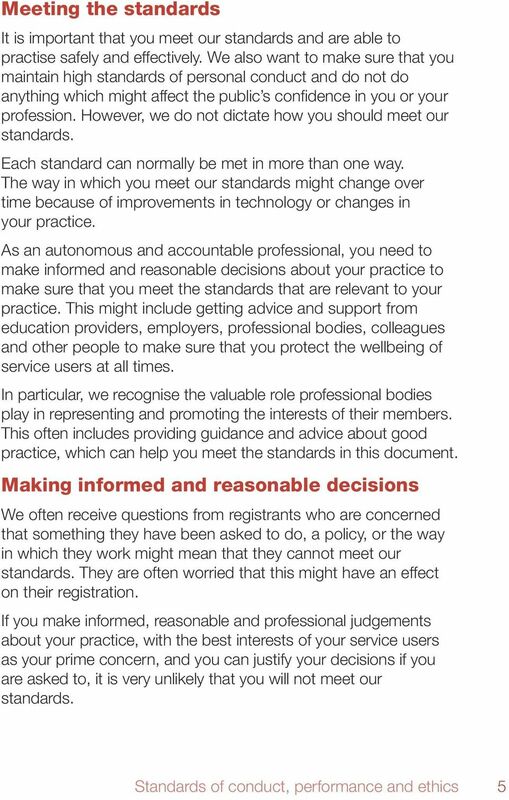 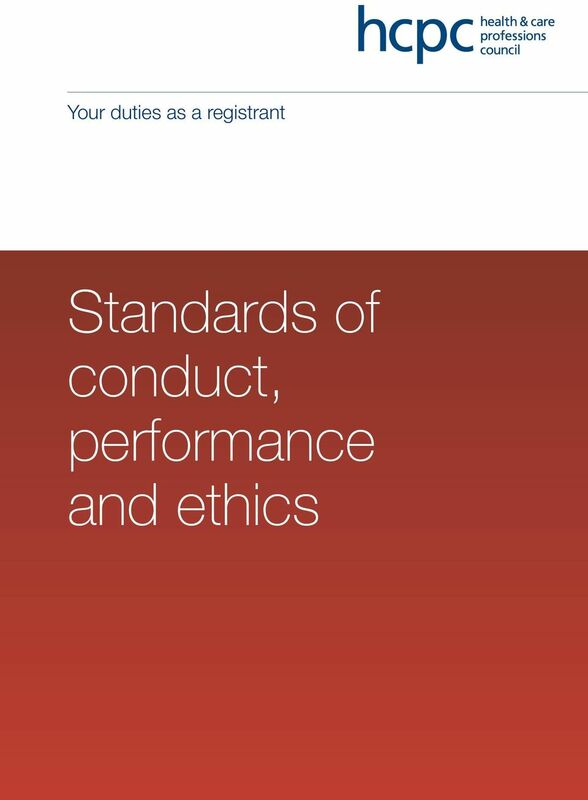 Standards of conduct, performance and ethics"
Information for registrants. 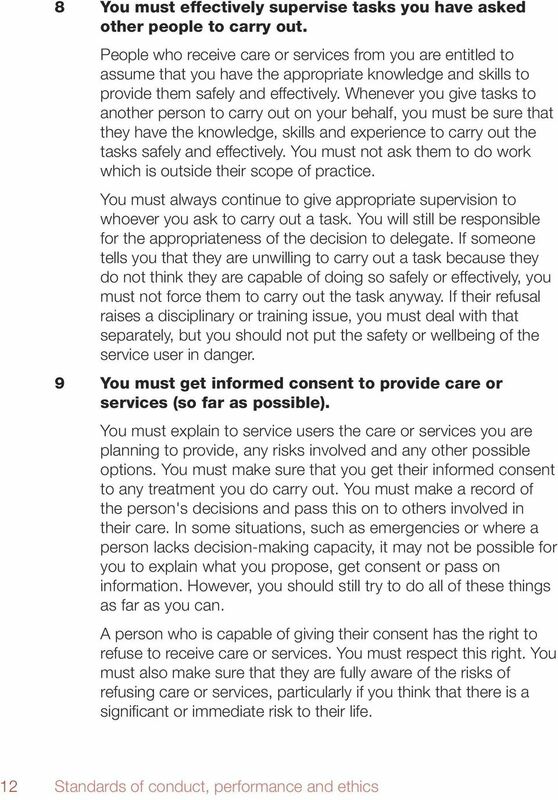 What happens if a concern is raised about me? 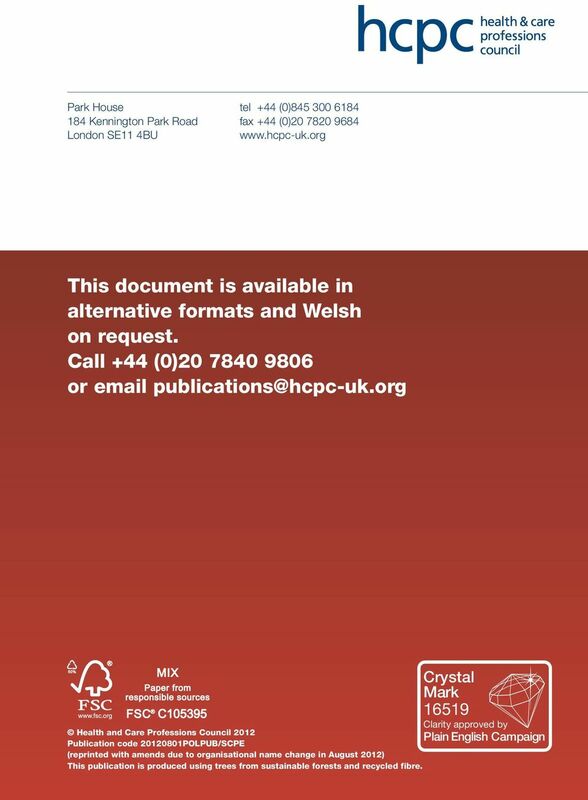 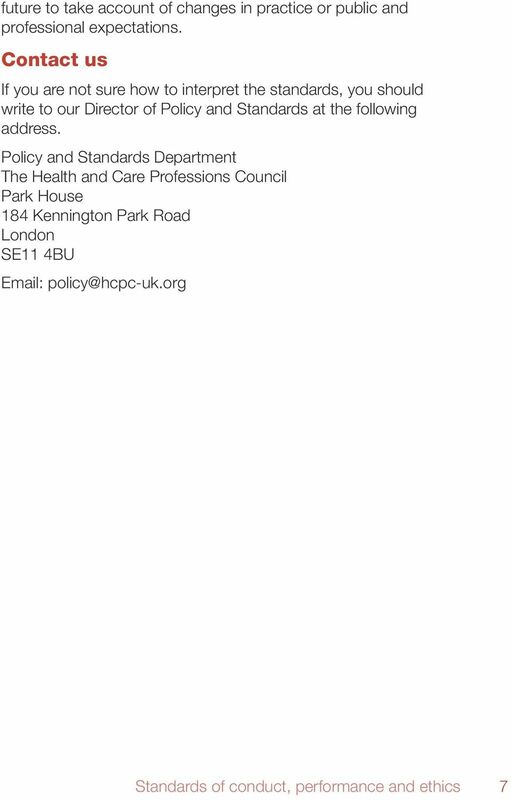 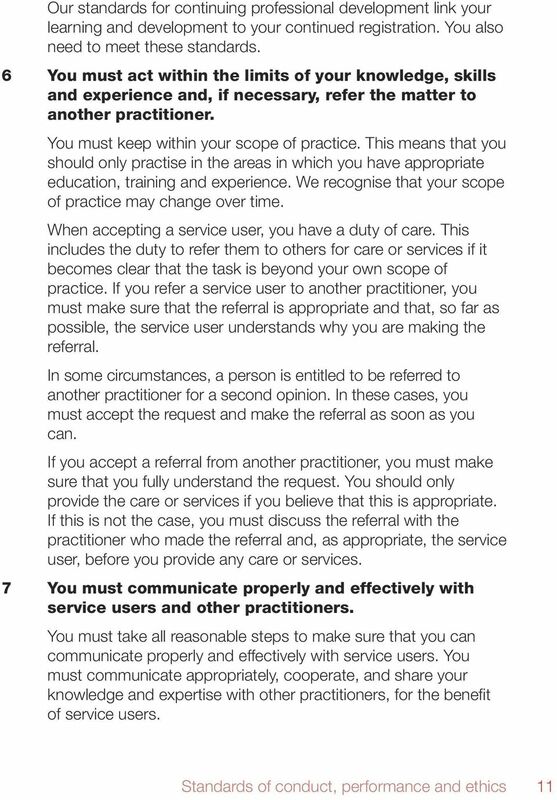 H7M3 04 (SCDLMCE2) Lead the Performance Management of Care Service Provision Overview This standard identifies the requirements when leading and managing the performance of the care service provision. 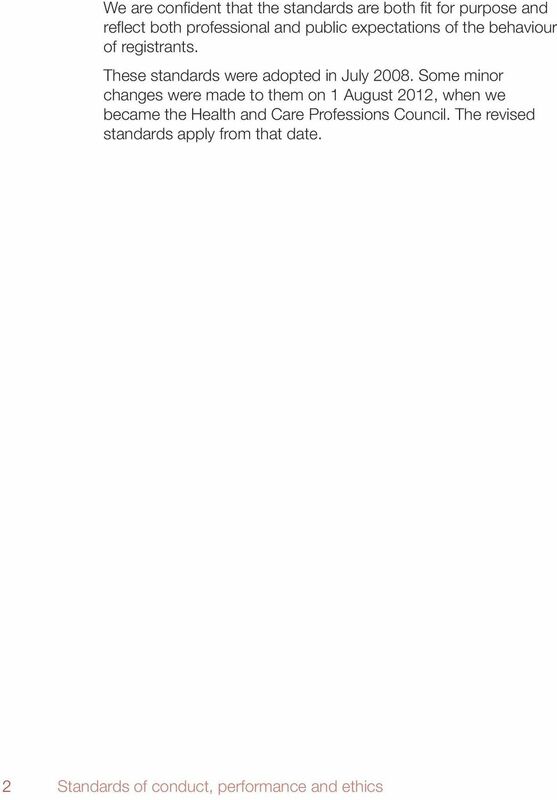 It explains what this requirement means for registrants. 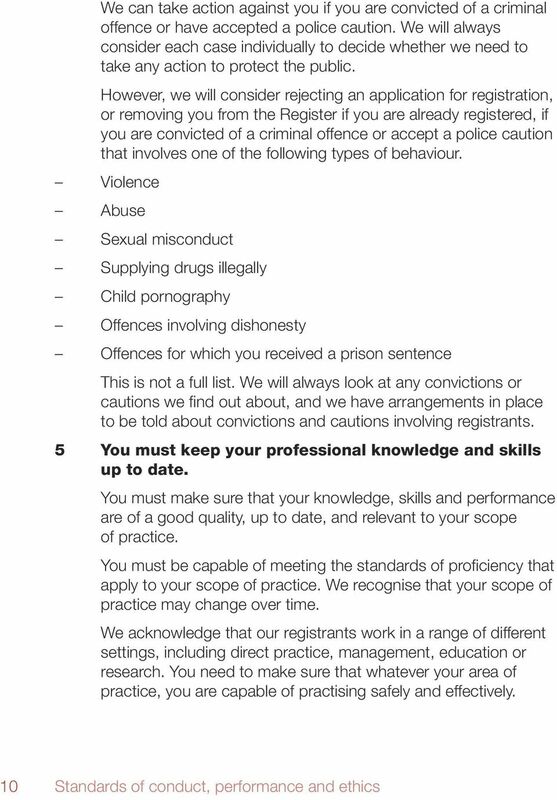 This document will also be helpful for individuals applying for registration with us. 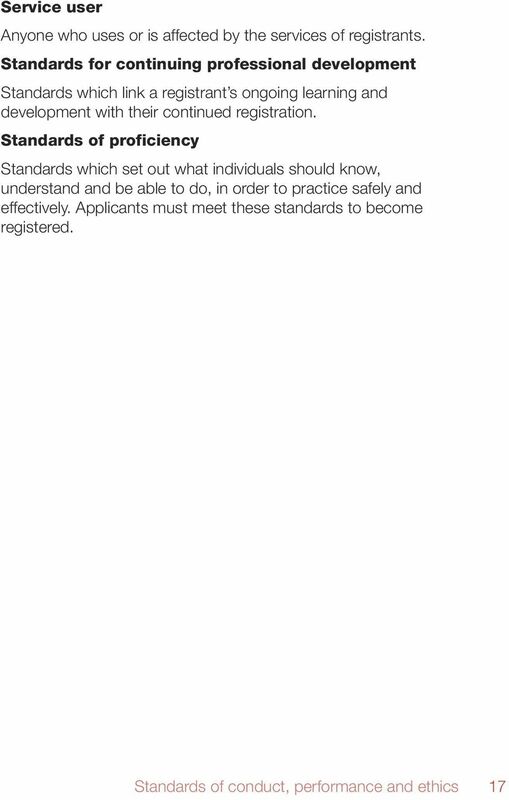 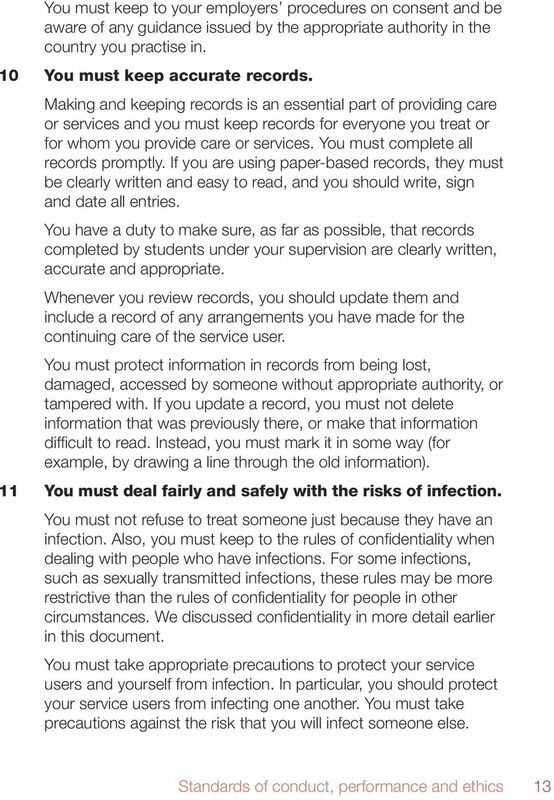 H5PJ 04 (SCDHSC0045) Lead practice That Promotes the Safeguarding of Individuals Overview This standard identifies the requirements associated with safeguarding which must permeate all your work with individuals. 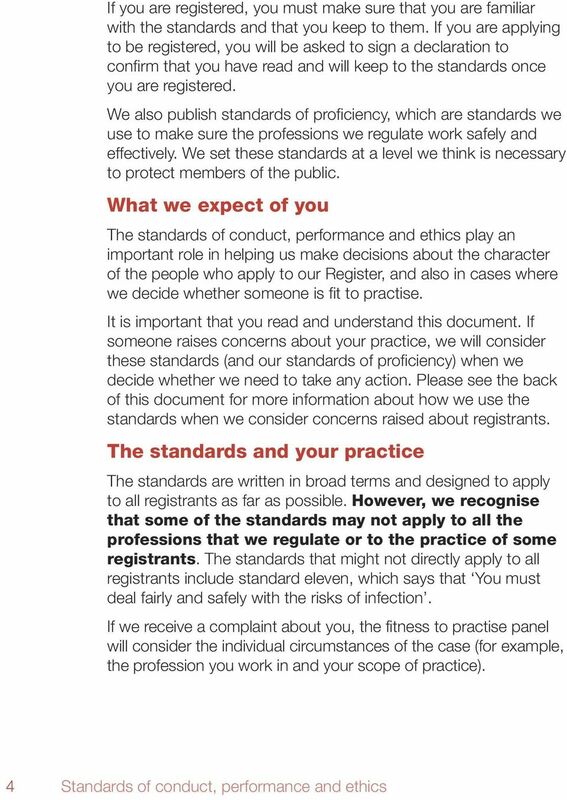 Protecting children and young people The responsibilities of all doctors The duties of a doctor registered with the General Medical Council Patients must be able to trust doctors with their lives and health. 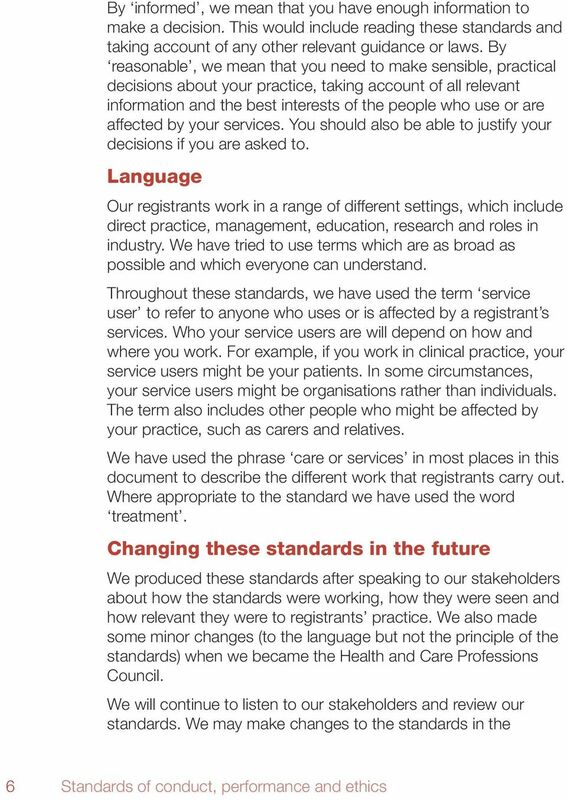 Raising concerns Guidance for nurses and midwives We are the nursing and midwifery regulator for England, Wales, Scotland and Northern Ireland. 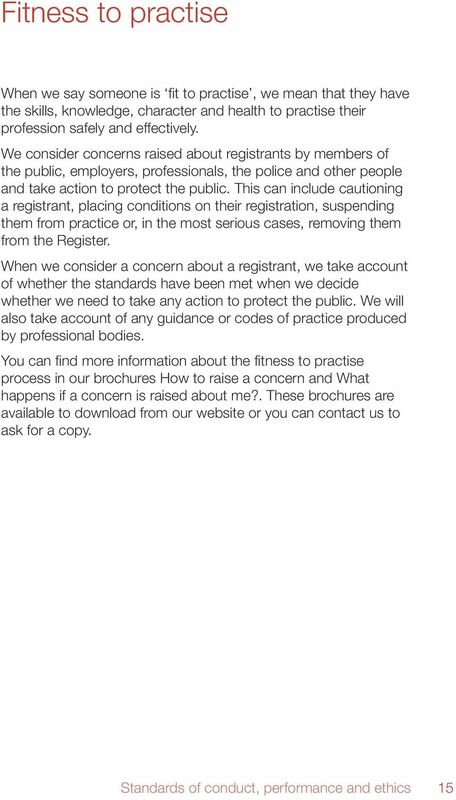 We exist to protect the health and wellbeing of the public. 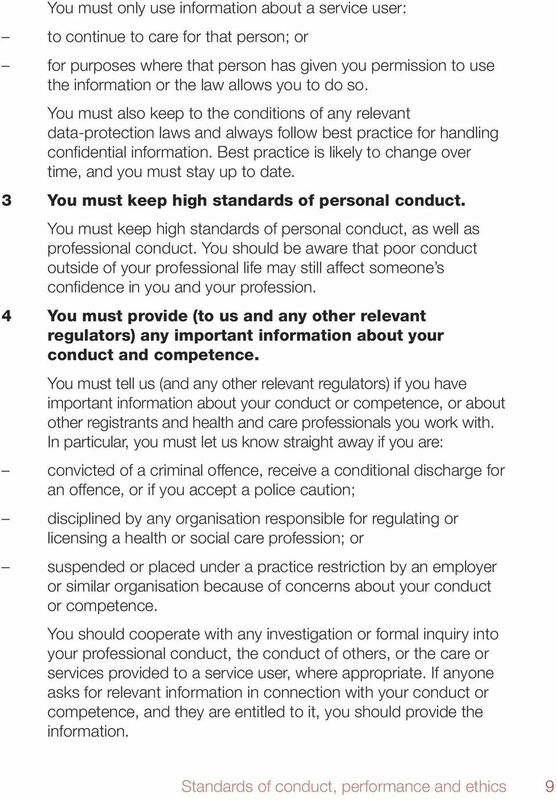 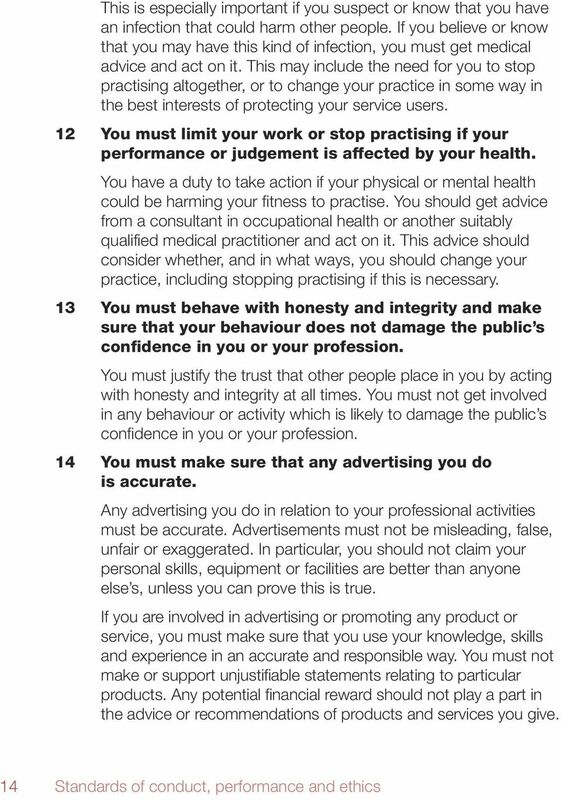 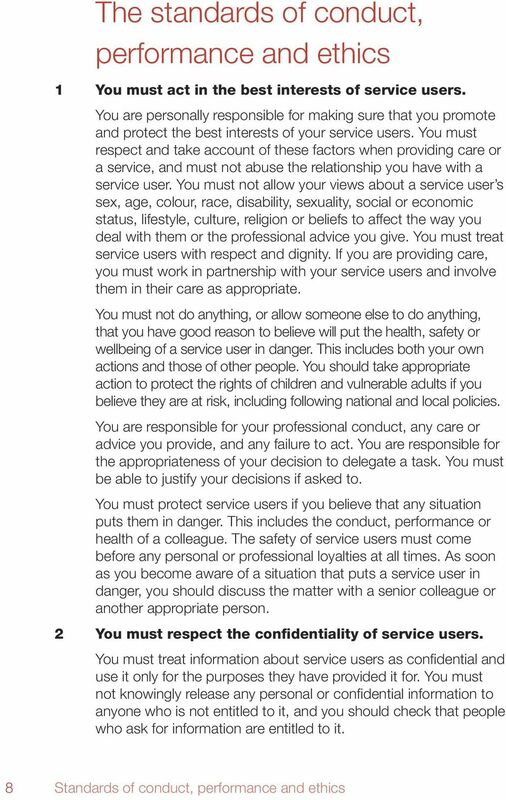 In certain circumstances it should be a criminal offence to breach these duties or obstruct another from performing them.